The company drilling for oil and gas in the Arctic waters between Nunavut and Greenland is not having much luck, which bodes poorly for possible offshore exploration on the Canadian side of the border. The company drilling for oil and gas in the Arctic waters between Nunavut and Greenland is not having much luck, which bodes poorly for the prospects of offshore exploration on the Canadian side of the marine border. Cairn Energy has plugged and abandoned another offshore exploration well on the Greenland side of the Davis Strait. It's the second well the company has had to abandon this year. Last year, the company drilled three wells in Baffin Bay and Davis Strait, but those also turned up dry. The Scottish oil company is wagering $1 billion on finding oil and gas in the strait and hopes to develop North America's first commercial Arctic offshore oil operation. The disappointing results so far have seen the company's share price fall over the last five months from their high of £4.74 in April to Tuesday's close of £2.87 on the London Stock Exchange. The company has also been dogged by environmentalists, who object to deepwater drilling in the Arctic. 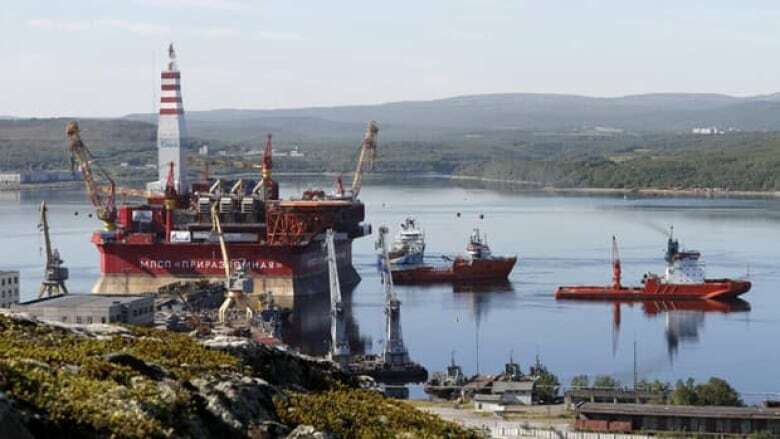 The Davis Strait has large reserves of oil and natural gas that could be opened up to production by Canada and Denmark, bringing significant royalty revenues. Canada's National Energy Board is holding roundtable discussions this week in Inuvik, N.W.T., to help it determine the safety and environmental requirements for possible Arctic offshore petroleum operations. Two damning reports from conservation groups were released last week, both of which said Arctic offshore oil drilling could result in environmental disaster because of the extreme difficulty of cleaning up a possible spill.